We are located in room 512 in Olin Hall, at 2400 Highland Avenue, Nashville, TN 37212. Directions to Vanderbilt University campus may be found here. Stephanie Amack defends her masters of science thesis "Design of a Compact, Workflow-Oriented Robot for Transbronchial Lung Biopsy." Way to go, Steph! Congratulations to lab members Katherine Riojas and Stephanie Amack for presenting at the 2019 SPIE Medical Imaging conference in San Diego. Steph presented her design work on "A new approach to homing and tool changes in needle-like surgical robots," and Katy presented "A new manual insertion tool for minimally invasive, image-guided cochlear implant surgery." 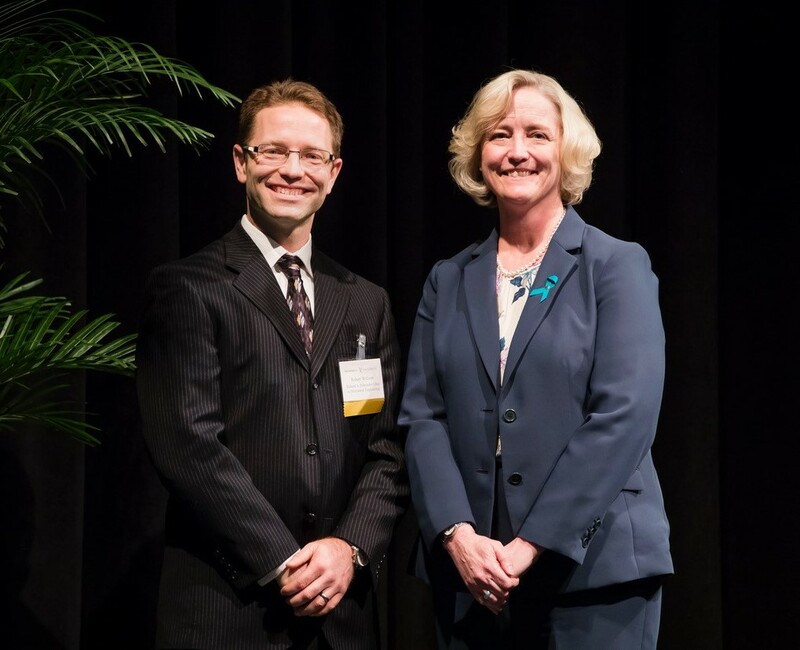 Vanderbilt University has named MED Lab director Dr. Webster the Richard A. Schroeder Chair in Mechanical Engineering. An endowed professorship is regarded as the highest award that a university can bestow on a faculty member. Congratulations, Dr. Webster! The MED Lab makes an appearance on Nashville's largest news network! News Channel 5 aired a story on one of our newest robot systems developed for lung surgery. Check out the story here on YouTube. MED Lab director Dr. Robert Webster has been elevated to Full Professor this year. Congratulations, Dr. Webster! This year's winner of the MED Lab Salsa Cookoff was Max Emerson. The competition was tough, but Max's tasty, California-style guacamole came out on top! 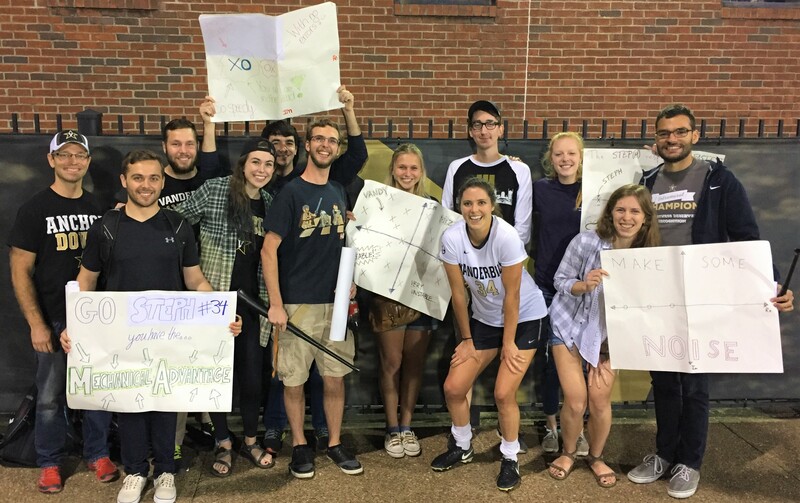 Stephanie Amack scores her third goal of the soccer season, and Vanderbilt beats University of Tennessee in a nail-biter! Congrats, Steph! Max Emerson, Tayfun Efe Ertop and Stephanie Amack all joined the MED Lab this summer. We're looking forward to all the cool research they'll be doing as they pursue graduate degrees! At the 2017 ICRA conference in Singapore, Patrick presented his work on Real-Time Redundancy Resolution for Concentric Tube Robots to Avoid Elastic Instability. He was awarded best poster in the C4 Surgical Robotics Workshop. Congrats, Patrick! MED Lab post-doc Isuru Godage will be heading to Chicago this fall as an assistant professor in the School of Computing at DePaul University. Congrats, Isuru! ©2014 All text, images, and videos on this site are protected under United States and International copyright laws, treaties, and conventions. All Right Reserved. Duplication, modification, or redistribution, in whole or in part, requires explicit written permission.